An estimated 20 million American adults are believed to have obstructive sleep apnea, with the majority of those cases going undiagnosed. Sleep apnea used to be merely considered an annoyance by many, but in recent decades with more information on the dangers of untreated sleep apnea, more and more people have begun seeking treatment for their chronic sleep disorders. Continuous positive airway pressure (CPAP) therapy has been the longstanding, clinically proven treatment option for sleep apnea. The non-invasive treatment allows a constant flow of pressurized air to keep the throat muscles and air passages from collapsing during sleep and thus preventing snoring and eliminating nightly apnea events. Unfortunately, CPAP use is a therapy and not a cure. In order to get the most out of treatment, patients have to use their CPAP machines on a nightly basis to keep their symptoms from recurring. But what can you do when the therapy you're prescribed is simply intolerable? One study estimated that 30-50 percent of CPAP users don't like their treatment and another survey discovered that about half of CPAP patients stopped using their device within 1-3 weeks of use with discomfort from the masks or airflow being the major reason for non-compliance with treatment. There are too many dangers associated with untreated sleep apnea for sufferers to give up on their therapy simply because they find CPAP treatment unbearable. That's why we here at The Alaska Sleep Clinic want to inform you of some of the alternative treatments to CPAP therapy. ASC's SleepN Program- Before you ditch your CPAP machine entirely in search of substitute treatments, ask yourself, "Have I really given CPAP a fair try?" Many CPAP users never fully explore their options with their CPAP devices before burying them in the closet, never to be used again. For this reason, The Alaska Sleep Clinic developed the SleepN Program, a support system in which our technicians help you get the most out of your treatment by offering you free mask trials to find your perfect fit; assigning you only the newest, quietest machines; remotely monitoring and calibrating your equipment from our office; informing you of automatic updates on when you need new equipment or replacement parts; and even hosting quarterly meetings to keep you informed on the latest sleep related information and CPAP technology. Automatic positive airway pressure (APAP) therapy- A frequent complaint from CPAP users stem from the constant, single-setting air pressure from CPAP machines. Many find the single-setting to be a nuisance as it doesn't always give them the air pressure they need at a given time. APAP therapy deals with this problem by establishing a low range pressure number and a high range pressure number that automatically adjusts as you sleep to give you the ideal pressure at any given moment. Using an algorithm that senses subtle changes in your breathing, an APAP machine can detect such things as spikes in apnea events to raise air pressure, or sense when you roll on your side when a decreased pressure is better suited. Bilevel positive airway pressure (BiPAP) therapy- Another common complaint about CPAP use is that some users find it difficult, or uncomfortable, to exhale against the constant pressure of a CPAP machine. BiPAP machines solve this problem in that they adjust the pressure of air being delivered depending on whether the patient is inhaling or exhaling. During inhalation, an electronic sensor tells the BiPAP to send more air through the mask to clear obstructions. During exhalation the air pressure is reduced so patients don't feel any pressure resistance to their breathing. BiPAP is best for patients who have high pressure needs or low oxygen levels. CPAP with C-Flex- C-Flex is similar to BiPAP therapy in that it offers pressure relief as the patient exhales so that they don't feel like they're fighting against the incoming airflow during expiration. However, C-Flex is more of a comfort feature for CPAP machines that only offers pressure relief up to 3 cm, whereas BiPAP pressure relief starts at 4 cm and goes up. For those who need only a little pressure relief, a CPAP with C-Flex might be the right choice. Oral/Dental Devices- For sufferers of sleep apnea with a mild to low-moderate diagnosis, oral devices such as mandibular advancement devices (MADs) and tongue retaining mouthpieces may be more comfortable solutions. Mandibular advancement devices-MADs look similar to sports mouthguards and push the lower jaw down slightly to pull the tongue forward and help keep the airway open. Oftentimes however, MADs don't cure apnea events but merely help reduce one's apnea index number. If the pressure from a CPAP is causing discomfort, MADs can be worn in conjunction with CPAP therapy and can help lower the pressure needs. While there are some over the counter devices available, it is recommended that you get properly fitted for the device by your dentist. Tongue-retaining mouthpieces- Similar in concept to MADs, tongue-retaining mouthpieces are worn orally and adjust the position of the tongue during sleep. Instead of holding the jaw in place, this device is placed on the tip of the user’s tongue and rests on his lips. Adenotonsillectomy- This surgical procedure includes the removal of the patient's adenoids and often the tonsils as well. These lymphatic tissues are located in the area where the nasal passages meet the throat. When these tissues become inflamed, they can cause blockage that can lead to obstructed breathing. This surgery is often the first-line of treatment in children with OSA, although has been proven effective in some adults. Nasal surgery- For OSA sufferers whose symptoms are caused by a deviated septum, enlarged turbinate tissues, or a collapsed or narrowed nasal valve, nasal surgery can often improve one's breathing, and reduce obstructive events. In some patients with mild sleep apnea, surgery may even eliminate their breathing difficulty symptoms. However, in patients with moderate to severe sleep apnea, nasal surgery is usually performed to improve CPAP compliance and comfort by reducing the air pressure levels needed to clear obstructions. Maxillomandibular Advancement (MMA) surgery- In this surgery, upper and lower parts of the jawbone are moved forward to create an enlarged space behind the tongue and soft palate, making obstructions less likely. Tracheostomy- In the most extreme cases of obstructive sleep apnea, where other treatments and surgeries have failed to produce positive results, a doctor may recommend a tracheostomy. In this procedure a surgeon creates a permanent opening in the windpipe and inserts a breathing tube. A valve on the breathing tube allows it to be closed during the day for normal breathing and speaking, and opened at night so that air can enter at a point below the obstruction, thus bypassing it. By now you may have noticed a trend in that most of the recommended alternatives to CPAP therapy are either ways to try and get you comfortable with CPAP treatment, or therapies that are very similar to CPAP. The reason behind this is that CPAP therapy has nearly a 100% successful performance rate for treating OSA. 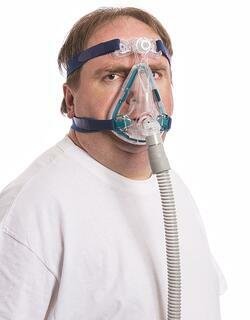 The only obstacle for patients diagnosed with obstructive sleep apnea is getting them compliant with CPAP treatment. Yes, wearing a mask that constantly blows pressurized air into your airways can be very uncomfortable, or even claustrophobic for some users, but when you weigh the benefits to your health from CPAP use against the discomforts of wearing a mask, you will realize that compliance with CPAP therapy is by far the most efficient means to treat your sleep apnea symptoms.